July Fourth is Independence Day and summer is here in full force and half the year has already zoomed by. 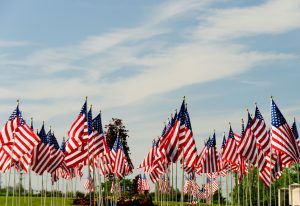 Our team at the office of Dr. Lisa P. Howard DDS MS researched some fun facts about our country’s most celebrated holiday which hallmarks our independence as a nation. We hope you enjoyed this 4th of July trivia. Share these fun 4th of July trivia ideas with your friends and family members to make your Independence Day celebration more meaningful. Happy Fourth of July from Dr. Lisa P. Howard DDS MS and her Team!